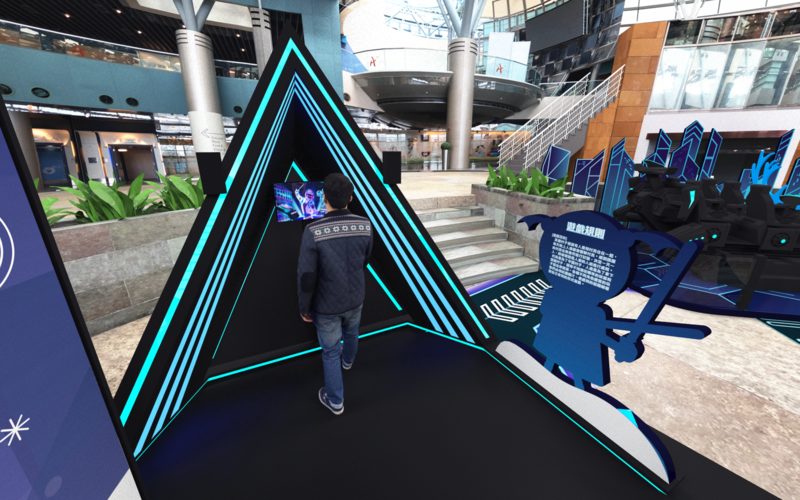 Digital entertainment such as virtual reality (VR), augmented reality (AR) and e-sports has become a popular staple in recent years, and The Arcade has clearly taken notice. 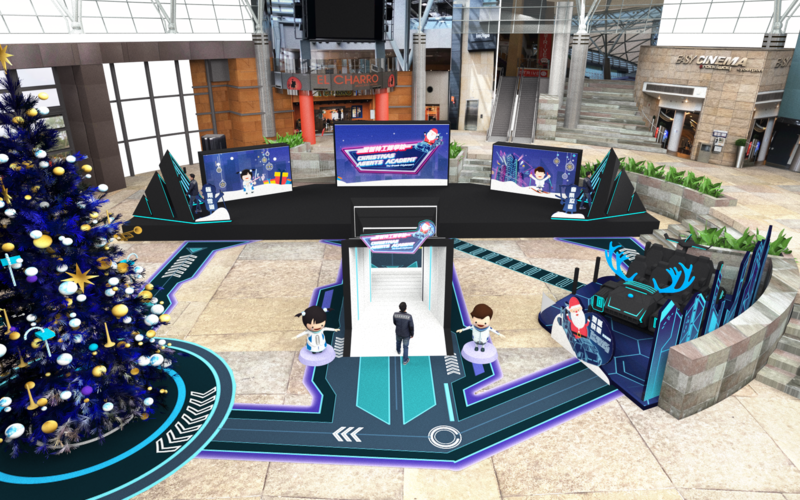 This Christmas, The Arcade will transform into a Christmas entertainment digital hotspot, and present The virtual reality mission challenge “Christmas Agents Academy”, turning the entire atrium into a science fiction Christmas world. Participants can download the "Christmas Agent Pass" mobile app to participate in the "Christmas Star Tracking Challenge" Augmented Reality (AR) game, and find Santa Claus’ missing Christmas starry symbols in different corners of The Arcade. The Christmas Agent will then have to “sprint” in the virtual world and "steal" the colorful star in a limited time. After reaching a designated score and spending electronic payment up to HK$300 in The Arcade, participants can use the electronic gift redemption voucher and sales receipt to redeem a Christmas Cartoon LED Fiber-optic Light. All premiums are available on a first-come, first-served basis, while stocks last. Download the "Christmas Agent Pass" mobile app, and then sign up on Facebook or email register to receive the virtual passes. 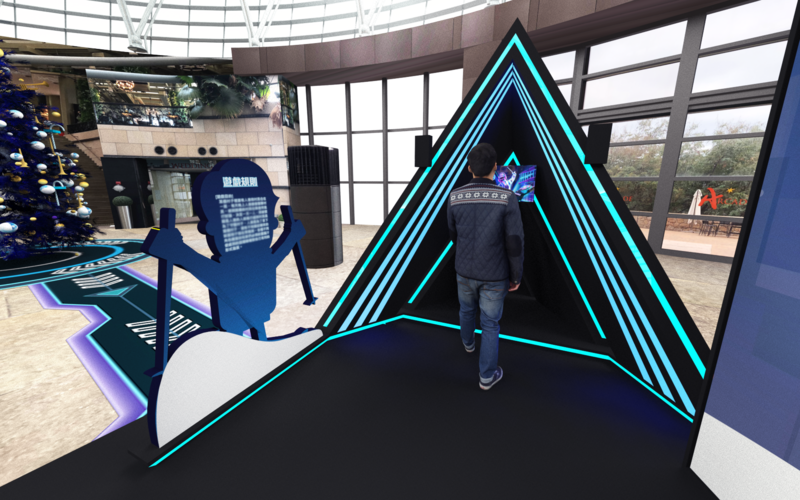 The atrium of The Arcade will transform into a sci-fi world, with four dynamic themed area set up to challenge your visual, auditory and tactile senses! 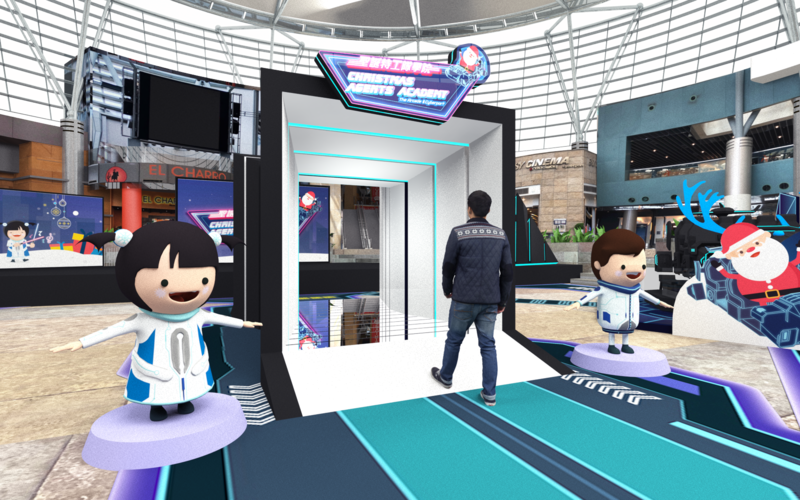 Completed the "Christmas Star Tracking Challenge" and 4 interactive VR game and spending electronic payment up to HK$500 in The Arcade, participants can use the electronic gift redemption voucher and sales receipt to redeem a limited edition Mi Power Bank (5000mAh). All premiums are available on a first-come, first-served basis, while stocks last. Simply put on VR (virtual reality) headset, sit on a simulated sled with Santa Claus, and let the reindeers lead you through the dreamy Christmas village, allowing you to experience a series of stimulating senses activities. Participants need to wear the wireless VR headset and cross the "suspension bridge" to enter the parallel universe. You’ll encounter mountain peaks and gusting winds, and even feel the shake when you walk on the bridge. Participants can score by avoiding obstacles and flying snow, and the game greatly enhances the speed and reaction of the player, as well as stimulating the vision and touch whilst you’re at it! Participants hold up two "light sabres" as controllers. As the musical notes "approach", break the notes one by one to earn points. PopSquare’s New Product Experience Pop Up A.I. Store collects the latest products for consumers and allows them to feel before purchase. By using its patent recognition technology (PopSense), it automatically recognizes people in the 4 metres radius and 1 meter through a high-definition camera lens. When a customer enters the 4 meters radius, a flashing car will trigger the lighting and display screen information. After the customer picks up the product, the display will show relevant contents of the product such as promotion videos, using methods and more. The customer simply needs to enter the phone number on the screen, and it’ll instantly send a text message to their mobile phone, conducts the transaction there, enjoy a purchase without restrictions.